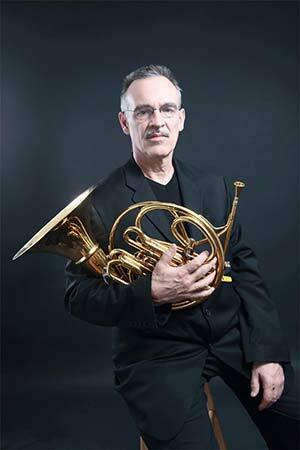 John Clark has advanced horn playing in both classical and jazz improvisation, playing and teaching, recording, composing, and publishing. He is one of the first and one of the few full-time jazz horn artists in the US. He has been a leader and teacher in modern and free jazz and free improvisation. He received a patent for the “hornette,” an instrument with the same range as the horn but with a forward-facing bell. His book, Exercises for Jazz French Horn, has been a standard for both jazz and classical students since its publication in 1993. John was born in Brooklyn in 1944 and grew up in Rochester, New York. He earned a BA at the Eastman School of Music, played in the US Coast Guard Band, and then earned an MM degree from the New England Conservatory in Boston. John’s teachers included Verne Reynolds, James Stagliano, Thomas Newell, and Paul Ingraham on horn and Jaki Byard, Ran Blake, and George Russell for composition and improvisation. He taught at SUNY Purchase (2001-1008), then at the Manhattan School of Music. John hosted the Northeast Horn Workshop at SUNY Purchase in 2005, featuring three IHS Honorary Members: Gunther Schuller (discussing the horn solo in Till Eulenspiegel), Willie Ruff (in performance with his duo partner, pianist Dwike Mitchell), and Verne Reynolds; although Reynolds was unable to attend, his 48 Etudes were performed and recorded by a series of artists. John has freelanced in the New York City area and performed and recorded with many jazz and popular artists and ensembles, classical ensembles, and on films. His recording and publishing label is Hidden Meaning Music. His awards include the Down Beat Critics’ Poll (1979-1982), a National Academy of Recording Arts and Sciences Award (1986), and IHS Honorary Member (2018).